Congratulation! You have done it. Once again, this is the Easy Origami Rose II, Spinning Top Rose that you have just completed. 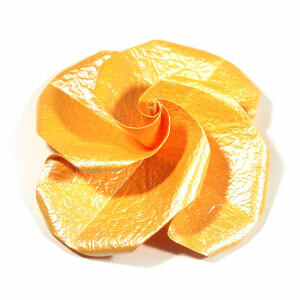 Now, you have completed making 2nd easy origami rose paper flower, Spinning Top Rose.